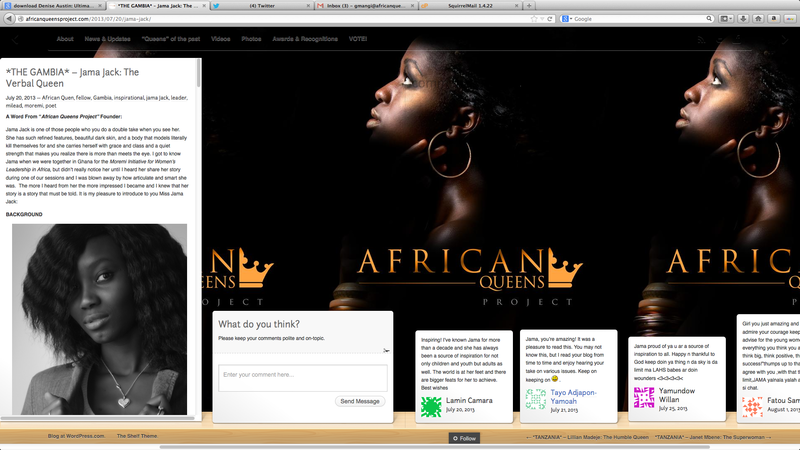 The African Queens Project is an interactive website sharing the stories of women around Africa. The platform highlights struggles, triumphs, and victories of African women of every generation and the steps they are taking to make a difference in their communities and nations and so as to motivate and inspire other women who want to do the same or partner with them. 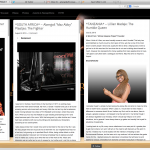 The website content includes blog entries, videos, podcasts and pictures. Regular updates with content and the interactivity with social media is essential to the project. 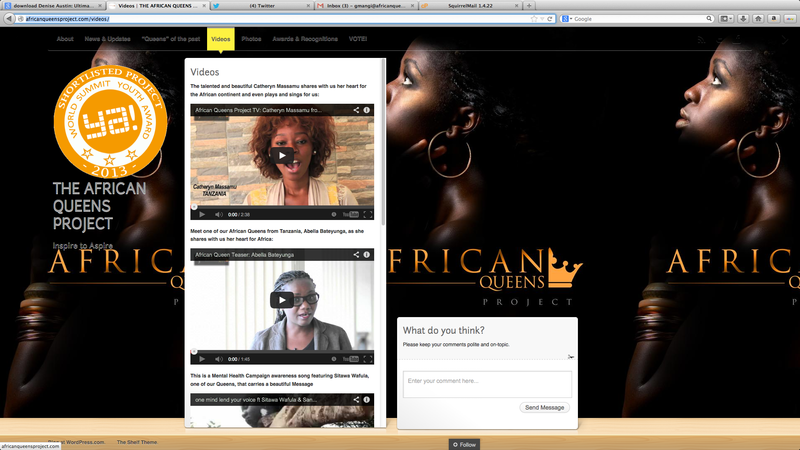 Each month there is an “African queen of the month” who is featured on the website with a special radio and video interview.